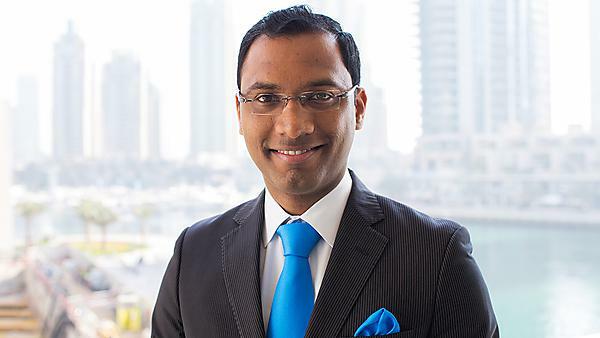 From the UK to India to the UAE, Vinod Alexander has gone on to work as an assistant training manager at the Atlantis, The Palm, in Dubai. After graduating from Plymouth, I joined the Marriott international and worked my way up to the position of F&B supervisor within two years. I then moved back to India where I was interested in going into HR. I started off this new journey as a training supervisor, but have since gone on to work as an assistant training manager at the Atlantis, The Palm, in Dubai over the past three years. Earlier on in my career, I didn’t have a plan as to where I wanted to be. Right now, I am religiously following a plan that I have setup up until 2030 – having these short term plans helps a lot. Studying at Plymouth opened up a lot of doors for me, taught me how to be self-reliant, and also gave me big aspirations in life. My favourite memory will always be graduation day. I still remember it vividly. Also, my professors – Rong, Shiela, Graham, and Paul – who had an excellent knowledge base and were really helpful with a lot of suggestions. I am constantly in touch with Rong Huang who has been a guiding light for me, not just at University but also in my career after student life. I have immense respect for her and her contagious enthusiasm during her classes. She is an asset to Plymouth University. Absolutely, Plymouth is one of the best universities for hospitality and tourism management. I can definitely vouch for that because there are excellent professors, great interactive sessions, challenging projects, and also great facilities on campus. For more information about MSc Tourism and Hospitality Management, please visit the course page, or for information about our range of courses within The School of Tourism and Hospitality, please visit the school page.